LEGO Star Wars celebrates its 15th anniversary this year, and some of my next few Collecting the Galaxy blog posts will be devoted to looking back at the history of the mashup franchise. In the first of these LEGO Star Wars-inspired blogs we look at the period between 1999 and 2005, which takes in the releases of the prequels and the first original trilogy sets, too. If, like me, you were at elementary/primary school when you first saw Star Wars then there’s a very good possibility that, also like me and my peers, you grew up playing with LEGO. My bedroom floor was literally carpeted with LEGOs, and I built makeshift dioramas out of it so that I could create some of my favorite moments from the film(s) with my Star Wars action figures from Kenner/Palitoy. At the International Toy Fair in New York in February 1999, LEGO and Lucasfilm announced LEGO Star Wars to the invited press. 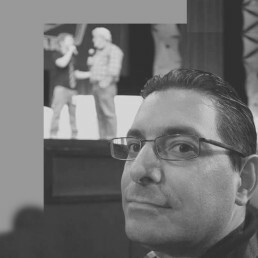 Originally licensed until 2008, it has been extended several times — first until 2011, then 2016, and in 2012 the license was extended until 2022. Twenty-two years after Star Wars was released, LEGO and Lucasfilm worked together to produce products in time for the release of Episode I in May 1999. 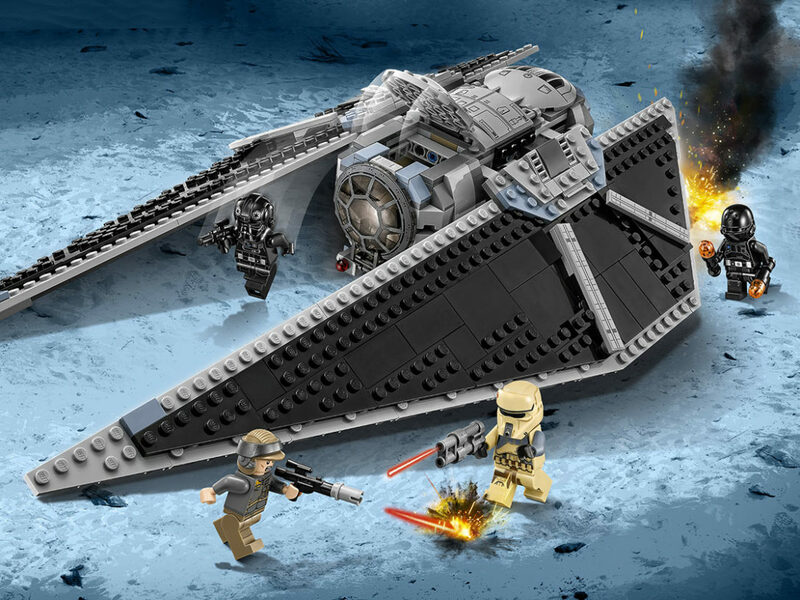 The first sets were released under the LEGO System brand and consisted of eight sets from Episode I and five sets (13 in total) from the original trilogy films, including the first LEGO Star Wars X-wing (#7140) and Snowspeeder (#7130). 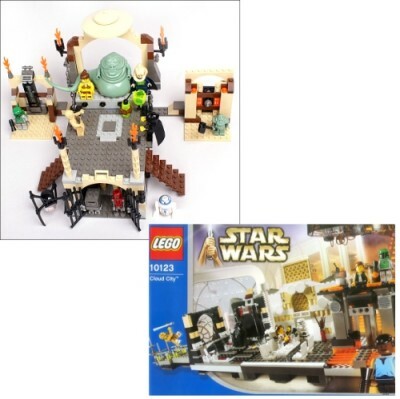 Both of these sets have been revisited again many times in minifigure scale, MINI or even Ultimate Collectors Series (UCS) form — each new release bringing new features, new minifigures and new colored bricks and pieces too. 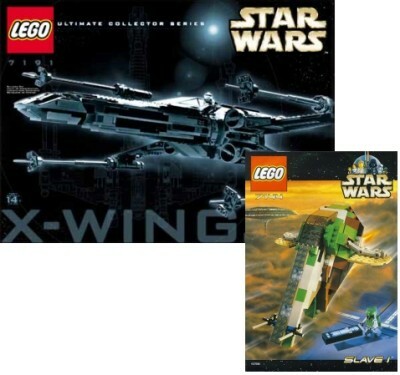 In 2000 we got our first two UCS sets, the X-wing Fighter (#7191) and the TIE Interceptor (#7181). This X-wing fighter was the largest LEGO Star Wars set to date with 1,300 pieces. 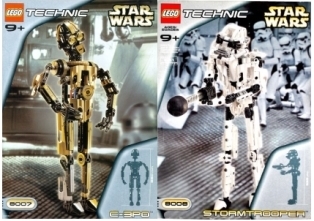 That year also saw the first Technic Star Wars sets in the form of a Pit Droid (#8000), Battle Droid (#8001), and Destroyer Droid (#8002). 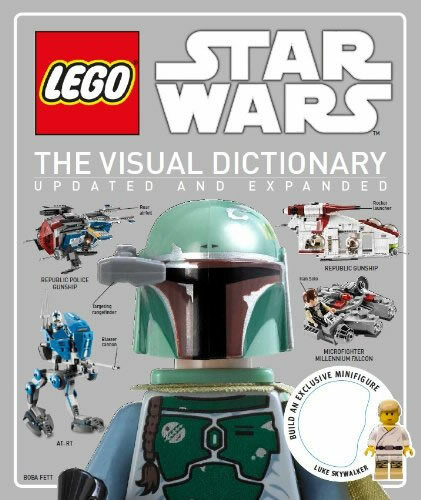 In total 19 sets were released in 2000, including the first LEGO System version of the Slave I (#7144) and Millennium Falcon (#7190). This year also saw the first LEGO Star Wars key rings to be released which included Darth Vader (not included in set counts). Things slowed down for 2001. In 2000 we got 19 sets, but in 2001 only 10 were released, two of which came from the Technic line, C-3PO (#8007) and Stromtrooper (#8008), and two USC sets, Darth Maul (#10018) and the Rebel Blockade Runner (#10019). 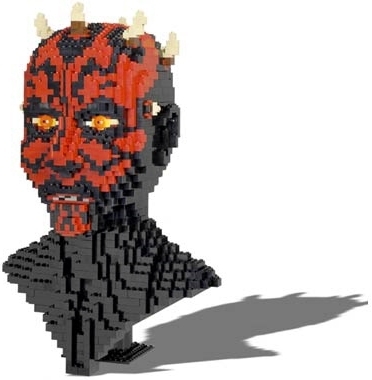 Darth Maul, with 1,868 parts, was now the largest LEGO Star Wars set to have been released. 2002 saw the release of Episode II and with it the first eight sets from the film, including a much bigger Slave I featuring the new Jango Fett color scheme (#7153), the Republic Gunship (#7163), and for the first time, Yoda as a minifigure in “Jedi Duel with Count Dooku” (#7103), and also as a much larger UCS set of Yoda (#7194) standing 14” high. 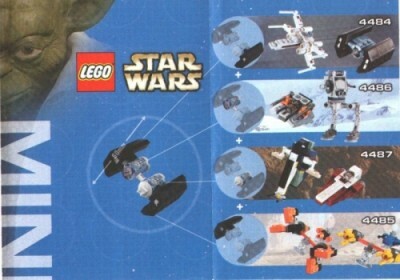 A total of 25 sets were released in 2002 and these also included the first MINI vehicle delivered in a polybag rather than a box, a TIE Fighter (#3219). 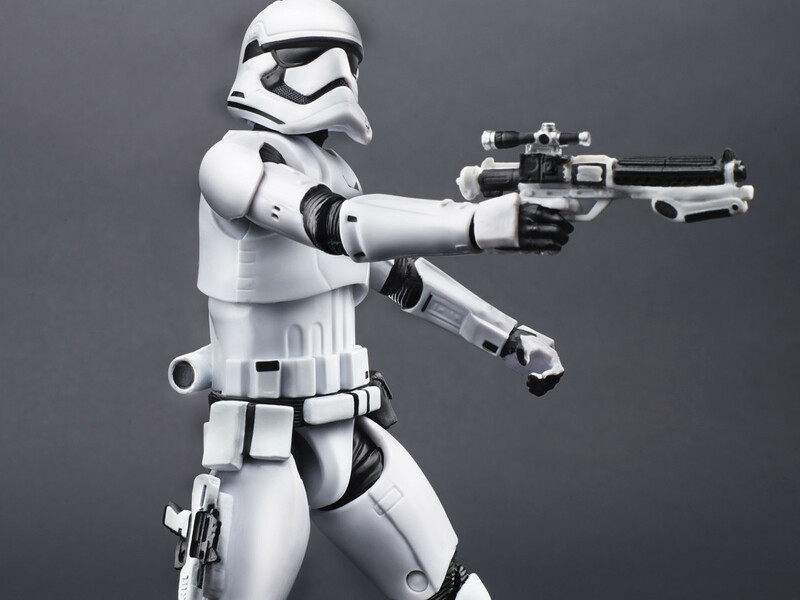 Technic versions of Darth Vader (#8010), Jango Fett (#8011), Super Battle Droid (#8012), and R2-D2/C-3PO Droid Collectors Set (#65081) were also released along with UCS versions of the Naboo Starfighter which featured chrome elements (#10026) and the Imperial Star Destroyer (#10030), which became the largest LEGO Star Wars set available, with 3,096 pieces. The Republic Gunship, released in 2002, is the only set to feature blue Super Battle Droids and commands a high after sale price — as do most retired LEGO Star Wars sets. 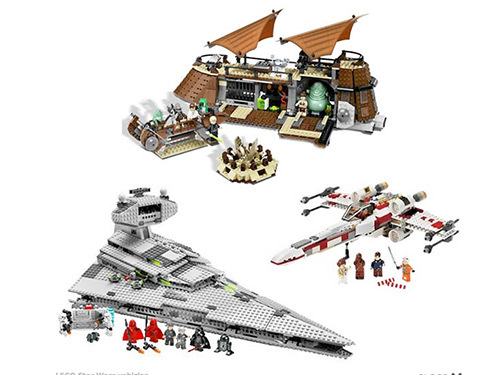 The 1999 version of the X-wing Fighter was re-released in 2002 as set #7142; also the first LEGO Star Wars pens were introduced (not included in set counts). With no new film in 2003, the number of sets released was reduced to 20 of which 8 were MINI sets (in plastic boxes) featuring iconic Star Wars vehicles from the five films released to date. Four of these sets came as two packs featuring matched pairs of vehicles such as X-wing Fighter & Tie Advanced (#4484), Sebulba’s Podracer & Anakin’s Podracer (#4485), AT-ST & Snowspeeder (#4486) and Jedi Starfighter & Slave I (#4487) — each one of these sets included extra pieces to create a TIE Bomber. 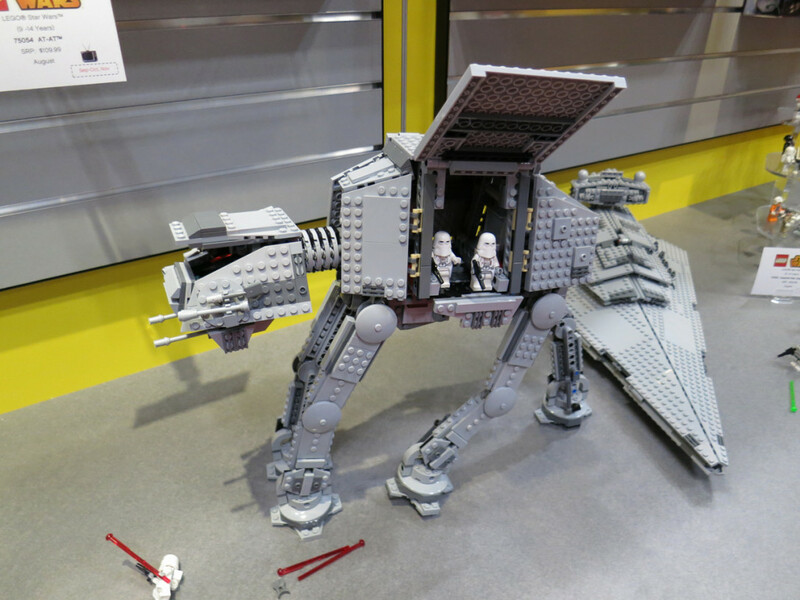 The other four Mini sets featured larger vehicles such as the Millennium Falcon (#4488) and AT-AT (#4489). 2003 also saw the release of the largest minifigure to date — Jabba the Hutt — as part of the Jabba’s Palace set (#4480) and also the first large scale AT-AT (#4483). Two USC were also released during the year, the Rebel Snowspeeder (#10129) and the elusive Cloud City set (#10123), the latter of which includes a uniquely printed Boba Fett minifigure which is very hard to find (and one of the few sets I still don’t own). The MINI sets continued in 2004 with a total of seven releases including four larger vehicles (in plastic boxes): the Star Destroyer (#4492), AT-TE (#4495), and three polybags including X-wing Fighter (#6963), Boba Fett’s Slave I (#6964), and TIE Interceptor (#6965). 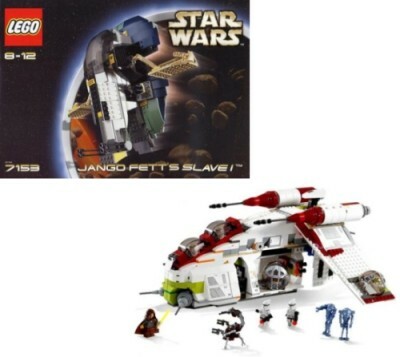 Eight other sets were released in 2003 taking the tally to 15; these included the second release of the Rebel Snowspeeder (#4500), the second release of the Millennium Falcon (#4504), and the third release of the X-wing Fighter (#4502) in minifigure form. This release of the X-wing Fighter came with Yoda’s Hut from Dagobah. 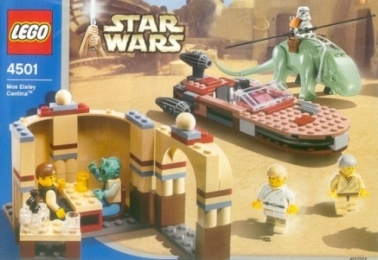 2004 also saw the first release of the Mos Eisley Cantina set (#4501), which featured a small section of the wretched hive of scum and villainy, a Dewback, Landspeeder, and five minifigures — Han Solo, Greedo, Luke Skywalker, Obi-Wan Kenobi, and Sandtrooper. 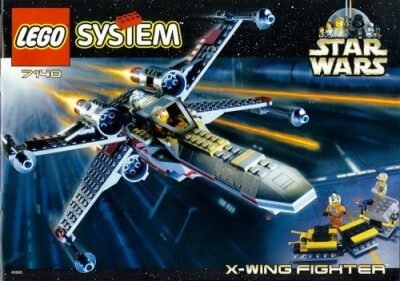 There was only one UCS set released in 2004, which was the Y-Wing Attack Starfighter (#10134). 2004 was the first year to feature a set from the Expanded Universe, the TIE Droid Fighter or TIE Drone; this was included as part of the TIE Collection (#10131). 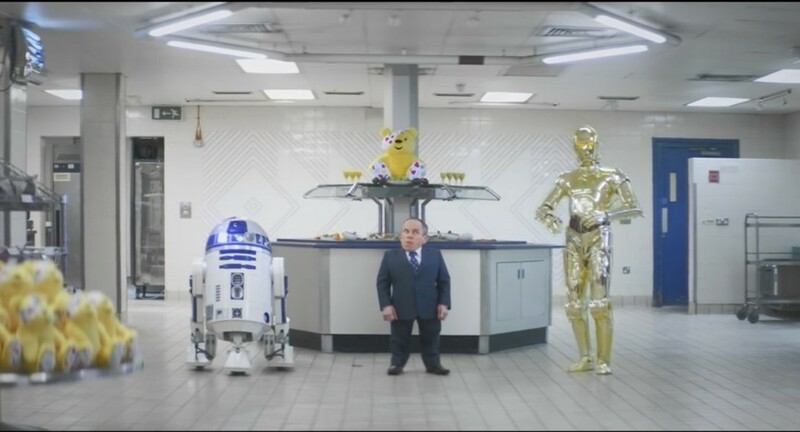 The minifigure as we know it today, standing 4 cm. or four bricks high, has always been an iconic cornerstone of LEGO sets, designed by LEGO model builder Jens Nysgarrd Knudsen and first released in 1978. According to LEGO.com, the yellow color was chosen to display equalization in ethnic society. In 2003, minifigures with natural skin tones were released as part of the LEGO NMA Basketball line to represent specific people such as Shaquille O’Neal. These natural toned minifigures didn’t make it to LEGO Star Wars until 2005, just in time for the release of sets for Episode III, including General Grievous Chase (#7255), which included Obi-Wan Kenobi, Jedi Starfighter, and Vulture Droid (#7256), which included Anakin Skywalker. Anakin was also released as part of the Ultimate Lightsaber Duel (#7257). 2005 also saw the release of the first original trilogy sets with skin tone colored minifigures that included Imperial Inspection (#7264) with Darth Vader, Emperor Palpatine, and two Imperial Officers. Two UCS sets were released in 2005, taking the tally of sets to 22 (not including promotional sets). 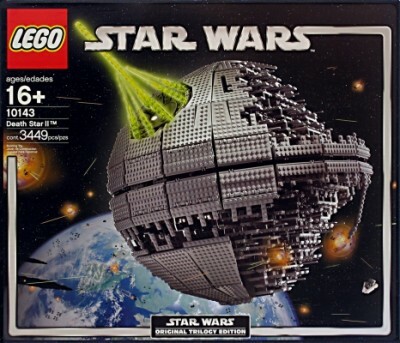 These were the Sandcrawler (#10144) and the largest set released up until 2005, Death Star II with 3,441 pieces. 2005 also saw several promotional sets including a figure and display stand given to guests invited by LEGO to the 2005 International Toy Fair in New York in February. The figures featured were either Luminara Unduli or Anakin Skywalker, both of which came with light-up lightsabers. At the International Toy Fair in New York, VIPs were also given a special boxed edition of Darth Vader’s Transformation (#7251). 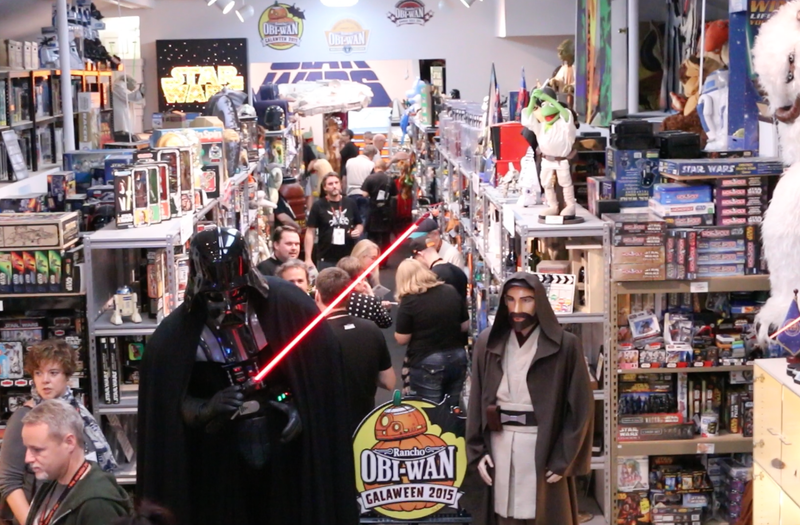 At the International Toy Fair in Nuremberg, Germany, guests were given a light-up Darth Vader polybag figure. 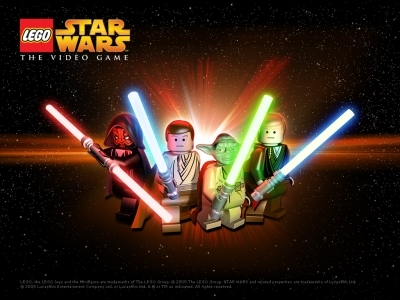 2005 also saw the release of the first video game based on a themed Star Wars toy line by the LEGO Group — and what became the first in the franchise written by Traveller’s Tales (TT Games). 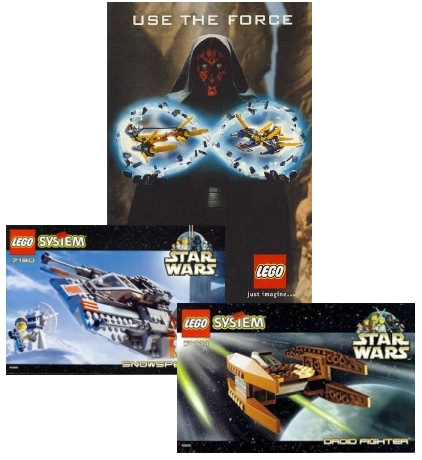 This release featured a game adaptation of all three prequel films based on their LEGO incarnations and hit stores a month before the theatrical release of Episode III. 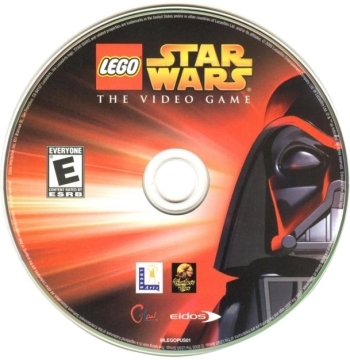 Versions released for Microsoft Xbox, Sony PlayStation 2, Microsoft Windows PC, Nintendo Game Boy Advance, Nintendo GameCube, and Apple Mac were all published by Eidos Interactive and LucasArts, and were a great new way to play with your favorite characters from a galaxy, far, far away.